I've heard that the Revlon Color Burst lipglosses don't live up to the lipstick (I haven't tried them myself). It looks as though another company has jumped on the bandwagon of adding a gloss to their pigmented lipcolor range. 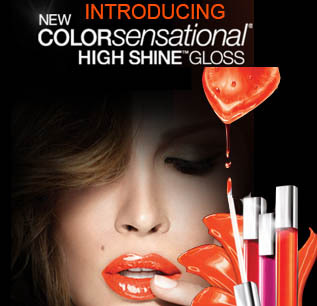 I was reading my email & came across a message from Maybelline about their new Color Sensational glosses. I like the lipsticks from this line a lot, so I'm naturally curious. Will it live up to the quality of the lipsticks? That remains to be seen, but I'm curious to try these.